Summer is here! So what can you do to help keep your children not only occupied, but enriched? Check out these local ideas! 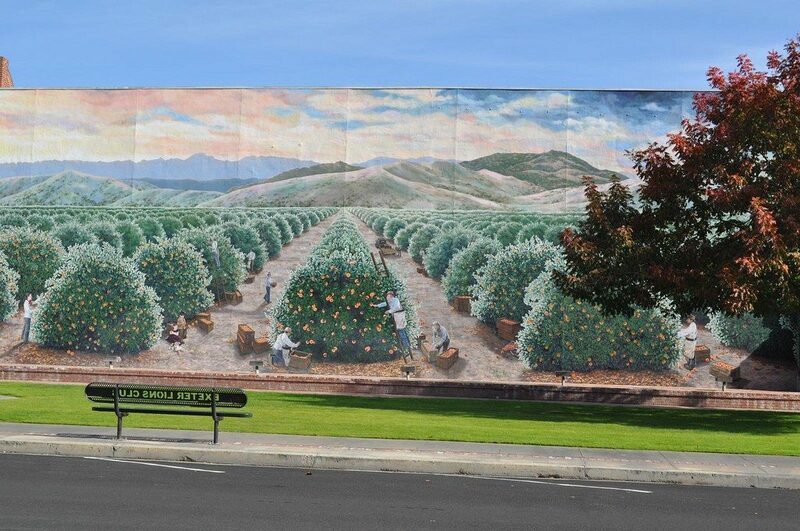 Check out the Dinuba, Visalia, and Porterville Farmer’s Markets! Encourage health eating by bringing your children to a local farmer’s market. 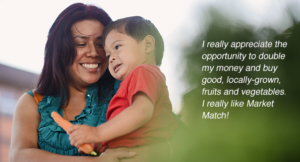 BONUS: if you are receiving WIC or CalFresh, you can get double your benefits at these farmer’s markets through the Market Match program. Summer break is a great time to discover and enjoy new books at your local library. It’s lovely, cool place to spend a few hours or make a quick trip for new books. Have a book reading challenge to encourage your kids to read throughout the break! 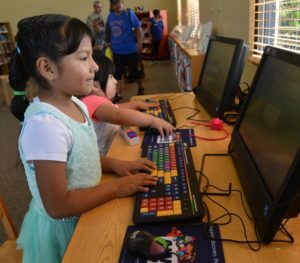 There are also computers and other resources for kids, such as at the Farmersville Branch Library shown here. Did you also know that the public libraries have free events and activities for kids and teens? There are crafts, shows, movie showings, and more! Check out some of these events and then go to your local library to see what’s coming up. Visalia Branch Library See the Visalia Branch Calendar! Go to the mountains! Right in our back yard are breathtaking giant trees and beautiful views…and a great open spaces! 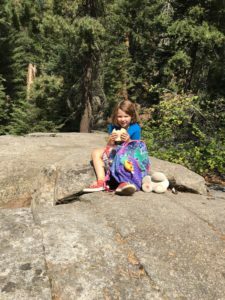 Check out the Sequoias and Kings Canyon National Parks website for events and other information! Explore, pay, and imagine at Imagine U! ImagineU is an Interactive Children’s Museum where families can come to learn and play together. General Admission: $8 per person, kids under 1 are free. During the summer and throughout the year, Imagine U also has camps and special activitiesw, like robotics. Additional discounts available. Enjoy movies with the whole family on those hot summer days. All Regal Cinema theatres offer $1 movies every Tuesday! Go outside and play! Riverway Sports Complex is a pprawling park with an interactive water feature, baseball & soccer fields, playgrounds and more. 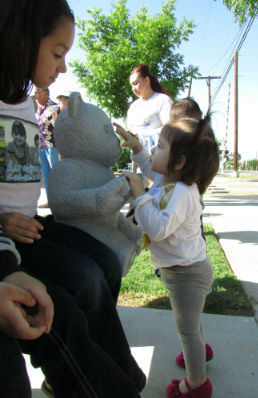 Check out Riverway and all the other parks in Visalia! 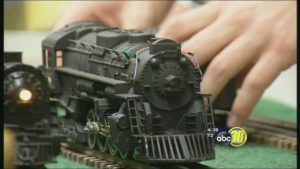 annual Porterville Historical Museum’s 33rd Annual Model Trains and Antique Toy Exhibit, going on through the end of the year.Admission is $5 for adults, $1 for students, and 6 years and younger are free. See the article in the Porterville Recorder for days and times. Another opportunity to step back into time! Built in 1891, the historic Zalud House is one of the few houses of that era that has not undergone remodeling. 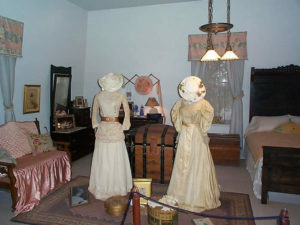 Inside the Zalud house are historic treasures from the region. The Zalud House is open Thursday thru Saturday from 10:00am-4:00pm.Regular admission is $1 for children and $3 for adults. . See the website for more information. Visit Exeter and see their well-known collection of murals. If you are going to the Sequoias, you can see these gems on your way to the mountains, but it is worth a trip in itself. PBS has a list of online games for free to promote learning skills here . If you do not have access to a computer, visit the local library. Read Holiday Books and other Books Free Online! Christmas books are available to read online ! Online books are a great way for your children to read more and for families to read more together! Start a tradition of reading a different holiday book each night! Use this site to access free online books throughout the year! Visit site here!